Can We Only Use The Adobe Eco System, or Is Round-Tripping The Way Forward? Are you able to do everything you need from inception of an idea to execution up until delivery with Adobe CC alone, or do you need other apps like Da Vinci Resolve and Capture One for coloring your video and photo projects? With Adobe's latest update, is it possible to do it all using only Adobe? I try to follow the big players in the industry, and the videos Adobe and the others make are obviously edited to only show the apps they are trying to promote and not the part where they export to do the coloring in other apps. What I am currently trying to do is become an expert colorist in video and photography. The current video workflow I am familiar with is to edit in Premiere Pro or Final Cut and export to Da Vinci Resolve for the color correction and grading. It's called round-tripping because after you've applied your LUTs and graded the footage in Resolve, you have to import it back into Premiere to export your deliverables. In this video, you can see this workflow. 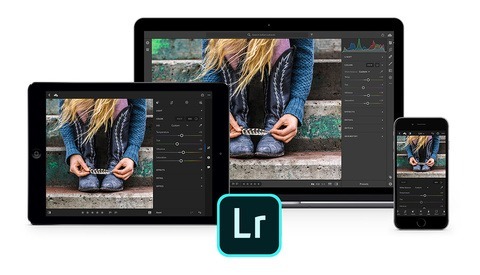 With photography, tethering is much more stable when using Capture One instead of Lightroom, and the grading of color is a bit more advanced. You can edit skin tones in a way that Photoshop can't do, or not that I know of. In this video, Jeff Rojas goes through adjusting the skin tones in Capture One. Adobe recently updated their apps, and most importantly for me, Premiere Pro and the Camera Raw module. With Premiere you have a color-match option in the Lumetri color tab that matches the color using one click of a button. This shows that Adobe is focussing on color and on having you do everything in-house. Is it better than moving everything to Da Vinci Resolve or is Resolve able to do color adjustments Adobe's Suite can't? They've moved their color editing tools from the former Speed Grade to being able to modify colors inside Premiere with the Lumetri color tab, so it seems they are on track with regards to making it as comfortable as possible to do color work within their somewhat walled garden of an ecosystem, without the need for other tools. 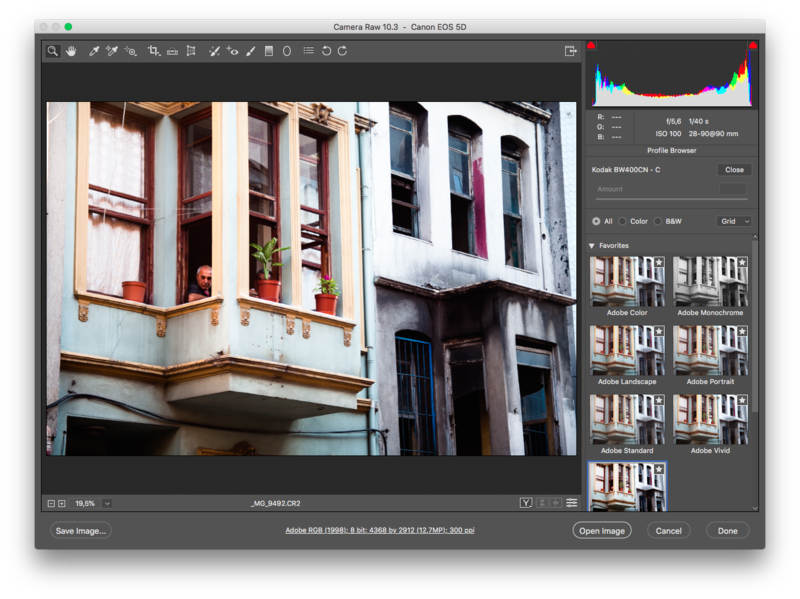 With regards to the Photoshop Camera Raw module, there is a new color profile browser which makes the grading process a lot more intuitive and fits with the workflow of editing a photograph. 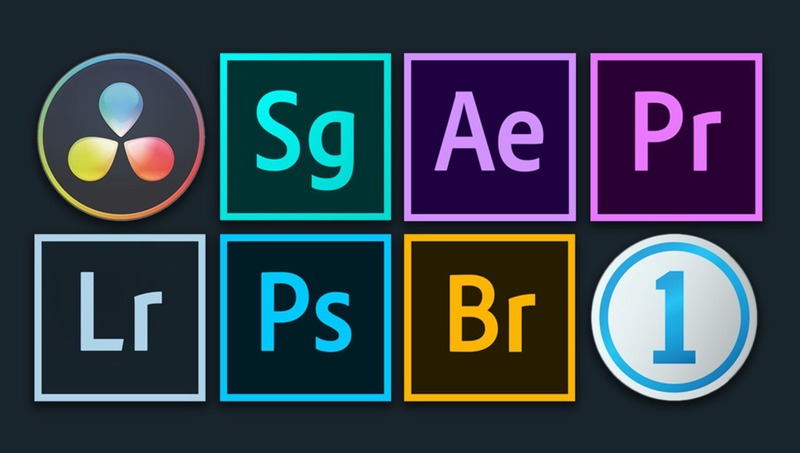 What is your current workflow, and do you round-trip with other applications, or do you enjoy the eco-system Adobe is providing. Do you use the Lumetri color panel or Da Vinci Resolve, and do you use Bridge and Photoshop, Lightroom, or Capture One or a combination of all of them? I can only talk about the video workflow... I don't "re-import". After the grade in Resolve I add the mixed audio track we get from the sound dep. We only grade at the last moment, the edit is final. No need to go back to Premiere. During the rough cut and screenings we color quick and dirty in Lumetri... and I have to say Premiere has evolved the last couple of years. But resolve is still king for correction and grading. And even for smaller projects the edit is sometimes done in Resolve. The value of CC for a small media production company like ours is unbeatable. We now switched again with our licence and only pay 29 euro (per user/month). To me thats dirt cheap for all the software you get. Only separate licence we buy is Cinema 4d. C1 for everything ---> Photoshop to finish the raster retouching. IMHO, in the future, the developers that will be ahead of the game will be the ones that will succeed to create an integrated application for most of the tasks needed for a "simple" project (i.e. without 3D). I mean, there is no reason why we couldn't imagine having all in one app: an ingestor (for backup, media management, sync and dailies), an editor, a compositor and a color grading app. (Some have already taken steps in that direction: Resolve, Hitfilm, ...) And ideally an integrated DAW for sound too (Resolve is taking a step in that direction too). More recently Apple's ProRes RAW could help too for RAW workflows (simpler file handling and less storage required). All the conforms needed between the different apps involved are just a pain, no fun and sometimes become a unpredictable non-ending nightmare. With a minimum of competitive quality guaranteed, a simple and reliable workflow is a winner every day of the week for content creators. Resolve is extremely powerful for color grading, but realistically, if I can do 90% of what I need in my editor, I will not bother going through the pain of a conform process. I will just accommodate for the remaining 10%. The issue is rarely about whether you are able to get your desired result with the Adobe suite—you can do nearly everything within just the Adobe suite with enough time, effort, knowledge, and skill. It's about how EASY and EFFICIENT the process is. Other programs just seem to be better optimized for certain tasks, which can be a huge benefit for people who don't have the time or desire to fiddle around even if the end result might be the same. When I go back to premiere I then go back to send out effects either I bridge comps to AE or I start a fusion comp for 3d. Motion graphics for AE, 3d compositions go to fusion.